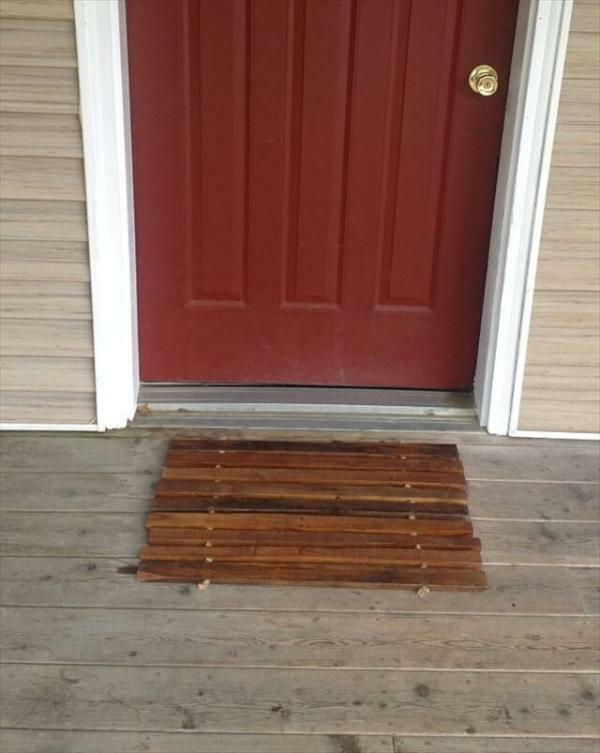 We all buy mats to keep in front of our main door so whoever enters the door cleans their shoes first and then step in. 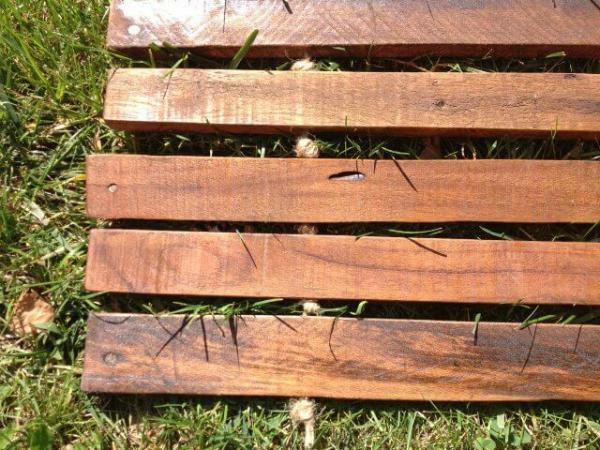 Well, you do not need to spend much money to it because I have an awesome idea of making the mat out of pallets. 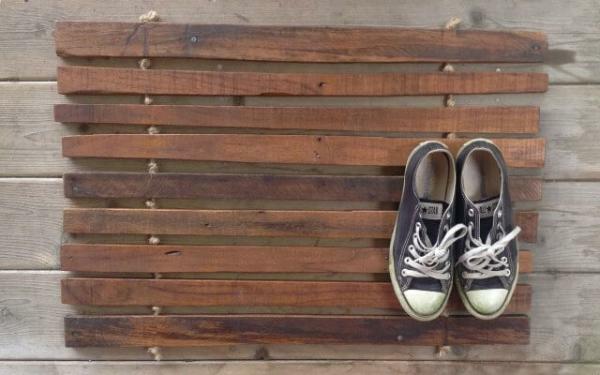 It won’t specifically clean of your shoes but it looks very unique and fills the purpose of keeping it on the main door of your house. 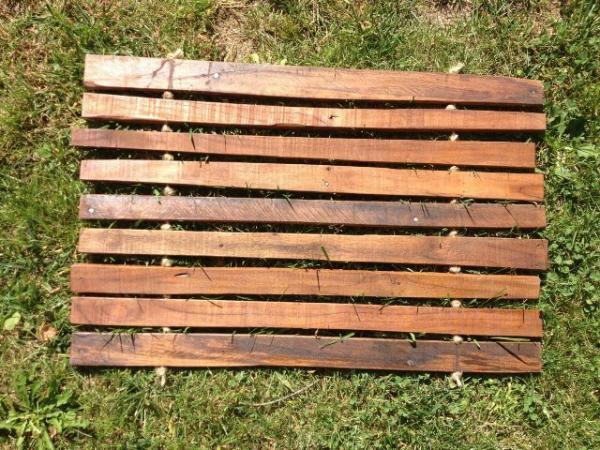 I decided to make a rustic re-purposed pallet mat which would be foldable as well. I gathered about nine slabs of pallet which are clean and pest free. I drilled holes on each one by measuring them to be equal so I can make the thick rope pass between them. As I got all the pallets together by the thick rope inside, at the end there is a strong knot which won’t open unless you cut the rope. 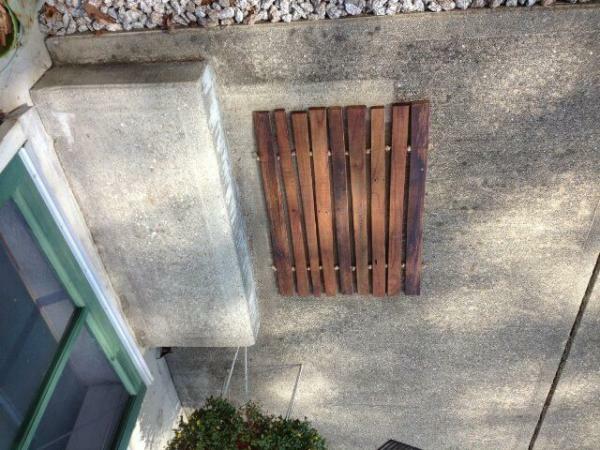 Well, then I painted the pallet slabs with dark brown wood color so that it looks natural. The distressed pallet looks perfect on my front door. You can place your shoes on it and enter in the house. It is very simple to make and anyone can make it at their free time.